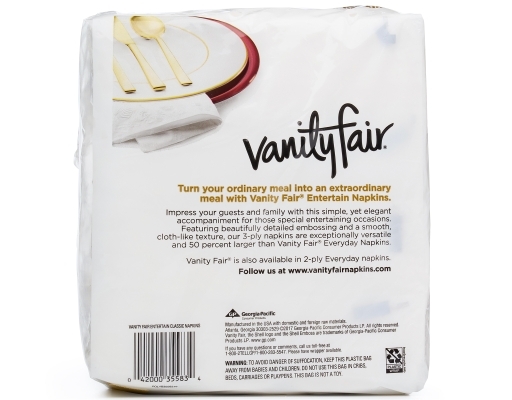 Add a special touch to any occasion with Vanity Fair Impressions 3-ply Napkins. Make your guests and family feel welcomed and comfortable with this simple, yet elegant accompaniment for mealtime and entertaining. 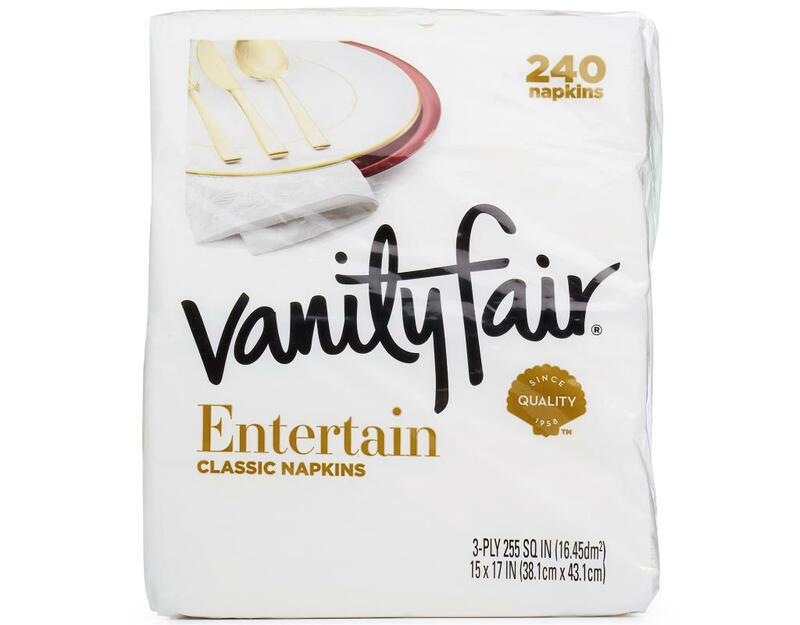 Featuring beautifully detailed embossing and a smooth, cloth-like texture, these 3-ply napkins are exceptionally versatile, and remarkably strong. Vanity Fair Impressions Dinner Napkins are a classy touch at any affair. 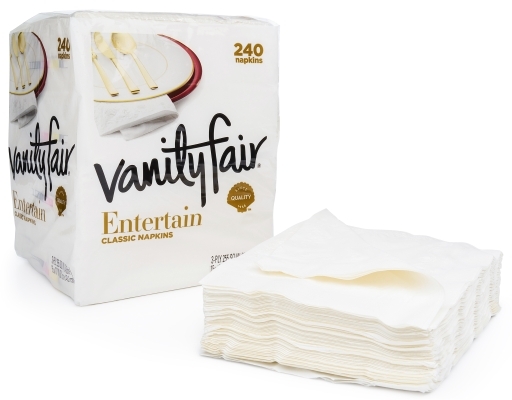 When an occasion calls for something a little more, use Vanity Fair! 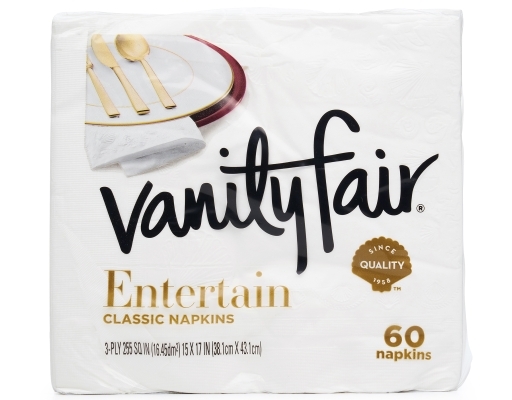 50 percent larger than Vanity Fair Everyday Napkins. 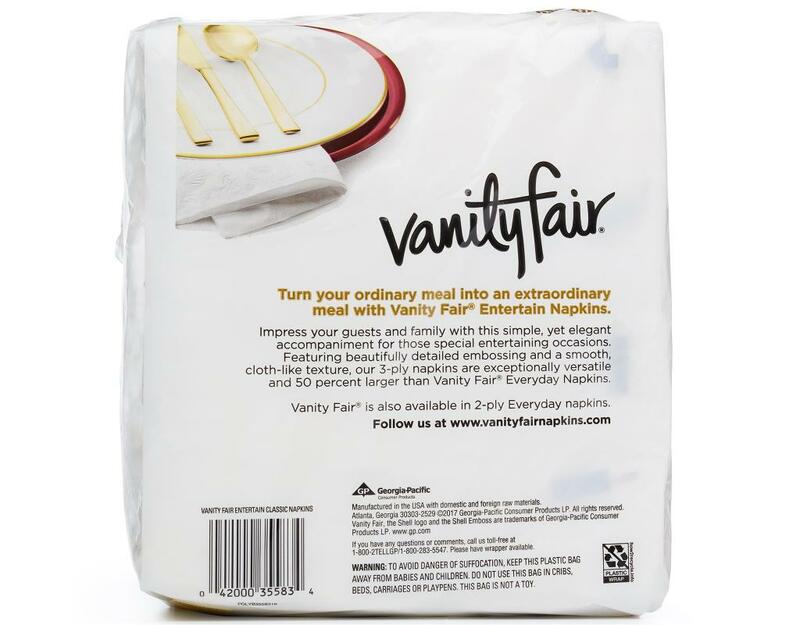 Turn your ordinary meal into an extraordinary meal with Vanity Fair Entertain Napkins.